The European commercial aircraft manufacturer, Airbus Industrie (AI) had in the second half of the 1970s at least (maybe even more) 12 aircraft ready to fly who came from the production line, but at that time, there were no customers for these a/c. Others were sold already to European and Asian airlines, but none to the USA. So the Airbus Industrie management and the sales people from our Toulouse headquarter came up with the idea to conquer the US American market. For that, they identified Eastern Airlines based in Miami (MIA). It was the second biggest airline of the world in the seventies with around 300 a/c flying (remember: all commercial aircraft at that time came either from Boeing, McDonnell Douglas or Lockheed). The German Lufthansa had at the same time around 100 a/c in use. 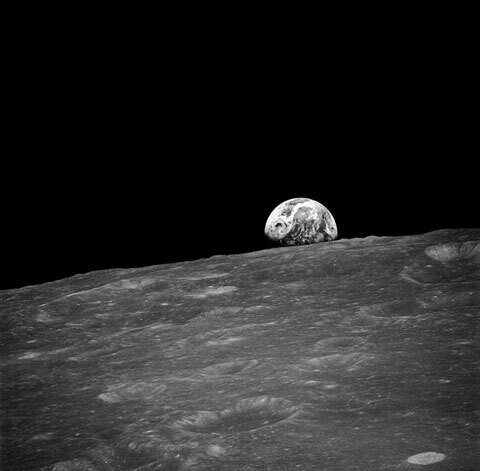 Luckily enough, the President of Eastern Airlines was the former NASA-Astronaut Frank Borman who already flew on the Apollo 8 mission in 1968 and also took the first black and white photo of the earth rise above the horizon of the moon (see below). The Airbus Team made a unique proposal to President Frank Borman, which he could not really resist: Eastern received four A300B4 aircraft on a dry lease for six month for one dollar (each!?!). 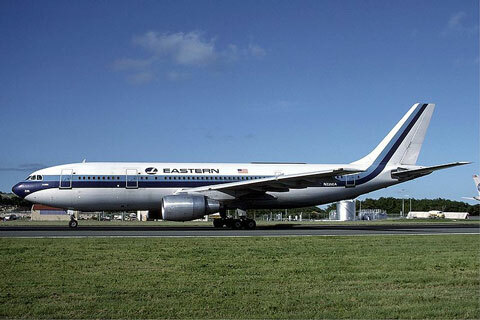 The planes, which were ready from the Airbus production line anyway, were repainted to Eastern Airlines colors with their logos and to their U.S. electronic equipment, galleys and interior specifications. They flew satisfactorily over the six month period starting in December 1977 as "A300B4 Whisperliners". Most of them flew the route New York to Miami and back. I had the pleasure to fly on one of the leased Airbus together with a group of winners from a competition, which I organized for my former company Messerschmitt-Boelkow-Blohm GmbH (MBB) in Hamburg. 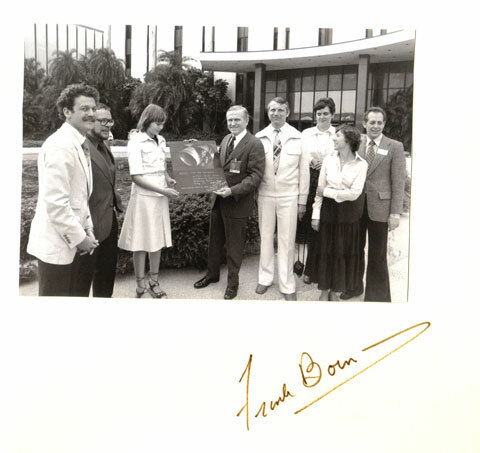 We also had a chance to see inside the Eastern headquarter at Miami airport and talked to Eastern President Frank Borman to whom we handed a photo collection of the Airbus production. He presented us his famous picture he took from the earthrise during the Apollo 8 mission on December 24. 1968. Some of our best Airbus Industrie mechanics and Service personnel were also on-site at MIA, LGA and JFK and other Eastern hubs, to look after the maintenance of the four A300 aircrafts, however, they were not allowed to touch anything onboard the planes on the maintenance bases due to the hard rules of labor unions and shop stewards within the US airlines. But, compared to the other Eastern fleet, Airbus was always getting the best marks in dispatch reliability and economy. This was a nearly unbelievable creative idea, which came at the right time. And which needed many excellent people with guts and stamina to achieve the high and nearly unreachable goal, to conquer the U.S. American market. We all have to thank all those involved with this special deal at that time. 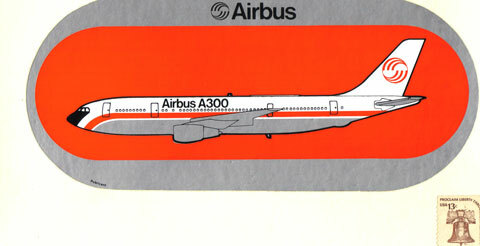 Otherwise the Airbus Program would never be where it is now, not more than 30 years later! Airbus figures in January 2011: Total orders: 10.080; Total deliveries; 6.541; In operation: 6.226. We never dreamt of those figures in the 1970s, our goal was the "break even point" of 360 aircraft. And we all stared at this figure, which was in a far distance at that time...It was good, that we did not give up! Frank Borman, Commander of Apollo 8: the first mission to fly around the Moon. 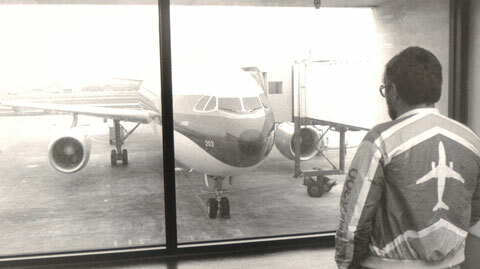 After leaving NASA, he was the chief executive officer (CEO) of Eastern Air Lines from 1975 to 1986. Airbus A300B4 Whisperliner in Eastern Airlines livery On April 6, 1978, Eastern Airlines and Airbus Industries signed a contract for the delivery of 23 aircrafts of this type to be delivered until 1982. The contract contained further options for 25 aicrafts of the smaller 200 seater version A 300B10 (now know as Airbus A310). "Earthrise" -is the name given to this photograph of the Earth taken by taken by commander Frank Borman during the Apollo 8 mission on December 24, 1968. Commander Frank Borman: Oh my God! Look at that picture over there! Here's the Earth coming up. Wow, is that pretty. 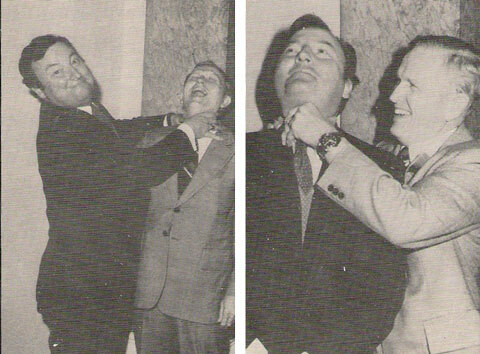 Astronaut William Anders: Hey, don't take that, it's not scheduled. 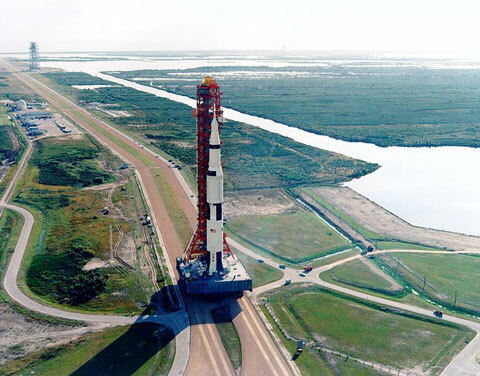 The TV miniseries From the Earth to the Moon, drawing upon the book A Man on the Moon by Andrew Chaikin, has Borman uttering the "it's not scheduled" remark. Had Borman as mission commander not said such a thing, the color photograph would never have been made. In Life's 100 Photographs that Changed the World, wilderness photographer Galen Rowell called it "the most influential environmental photograph ever taken." 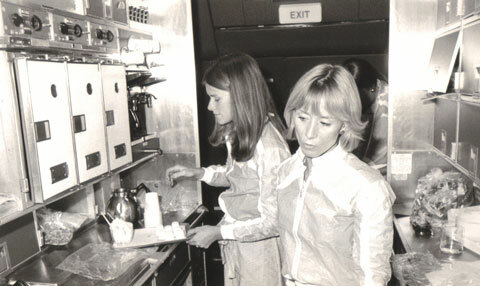 Flight attendees in the galley on one of the four A300B4 operated by Eastern Airlines on the route New York to Miami (JFK-MIA). The European Airbus Industrie was assigning these four Airbus on a leasing contract for one dollar to Eastern Airlines. Additional Bonus photos, received from the archive of Gerd Hengsbach, ret. 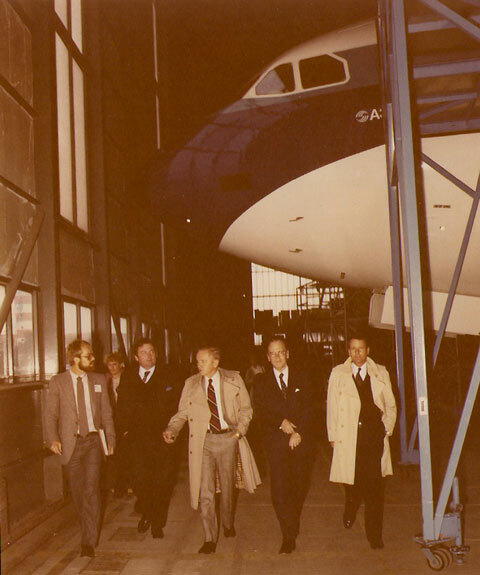 A guided tour at the MBB Airbus plant, at that time with around 4.000 employees. Here the rear fuselages of the Airbus were and are still assembled today, before they are flown to Toulouse for final assembly of the Airbus wide body aircraft. Far left: Gerd Hengsbach, Assistant of the Managing Director and boss of Press officer Arno A. Evers. 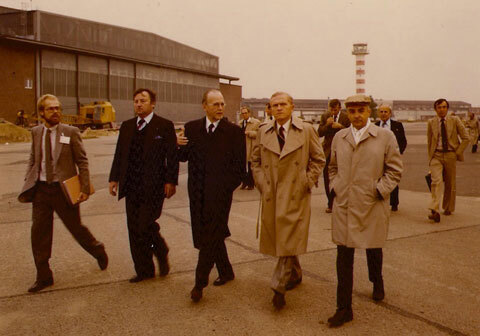 Frank Borman is wearing a white coat, Bernhard Lathiere in a dark suit.